Ahmadinejad gives Christmas message. This is only the beginning. T-Shirts, Bumper Stickers, hats, Etc! despite his previous calls for the removal of the Jewish state. Ties with the U.K. were further strained in 2007 over the detention by Iran of 15 British sailors and marines, who were held for 13 days. The Israeli ambassador to London condemned Ahmadinejad’s speech as a “bogus message of good will” and said the broadcast was a disgrace. Ahmadinejad’s message follows similar Christmas broadcasts on Channel 4 by the Rev. Jesse Jackson, Sharon Osborne and the animated TV character Marge Simpson of “The Simpsons.” Last year’s message was delivered by Sgt. Maj. Andrew Stockton, a British soldier badly wounded in Afghanistan. Ahmadinejad spoke in Persian, with subtitles in English, the channel said. Dorothy Byrne, head of news and current affairs at Channel 4, said Ahmadinejad had been selected because relations between Iran and the West are likely to be a key global issue in 2009. “As the leader of one of the most powerful states in the Middle East, President Ahmadinejad’s views are enormously influential. As we approach a critical time in international relations, we are offering our viewers an insight into an alternative world view,” Byrne said. The channel’s news program broadcast an interview with Ahmadinejad in September 2007, when the Iranian leader insisted his nation wasn’t seeking to develop a nuclear weapon. In Late fall of 1950, Mother Nature gave us an indication of things to come. An early Pre-Thanksgiving blizzard set the stage for the rest of the winter. For a while, it was uncertain as if Thanksgiving would come off at all, but at the eleventh hour the weather cleared and dinner went off without a hitch! Christmas was spent in the usual fashion , with family. Being six, I had received a good supply of loot from Santa including a basketball and a pair of cowboy boots. I was living in rural Indiana, the basketball was sacred. December 28th started as a typical cold winter day, my dad had decided to raise turkeys the next year and it was nearly time for the chicks to be delivered, so donning my prized cowboy boots I decided to go with him to the hatchery to see when they would be ready for pick-up. Most of the heating was done with wood or coal stoves during that period of time, we had a couple of chimney fires prior to this, so there wasn’t much alarm when mom called and said that the house was on fire. Dad just assumed it was another chimney fire and it would burn itself out before we could get home. However after thinking about it for a couple of minutes and seeing large billowing smoke coming from the direction of our farm it was quickly determined this was more than a simple chimney fire. Racing for the car, we were on our way home in seconds. Vines hatchery sat on a high hill, the first obstacle in getting home was State Highway 350. At the bottom of the hill, dad never even slowed up. I knew then it was going to be a nail-biting ride home. Practically flying down this gravel road the closer to home we got the faster the car went. Sliding around corners and leaving a dust trail that seemed to stretch for miles we were making record time. Not knowing what was happening at home and thinking that mom was still in the house created a real sense of urgency. Our car didn’t have real good tires and the brakes were worse. As we approached our driveway another crisis arose. Our driveway was at the bottom of a big hill and the Napoleon fire truck was coming from the other direction. Dad had been riding the brakes a lot negotiating tight turns at high speed, so the brakes were about as useful as a trap door in a submarine. The fire truck would just have to wait a minute.Sliding sideways into our lane, the car rolled half way up the hill in front of our house before it came to a stop. Thinking mom was in the house we jumped from the car and raced towards it. My grandparents were already there , so I stayed with them while my dad went inside, great, now I have both parents inside a burning building. It was about that time I felt a tap on my shoulder, it was mom! After doing some laundry, mom had lain down to take a nap, waking up and smelling smoke, she raced for the kitchen and the phone.The fire was too hot, so mom ran to the neighbors a half mile away to call us and the fire department. She was coming back home and saw us go flying by, but we never noticed, we were too busy trying to keep the car between the ditches. Luckily about that same time dad came crawling out of the burning house, so everyone was safe. By that time everyone from ten miles around had gathered, there was plenty of help to put out the fire and salvage what was left. We didn’t have cell phones, instant messaging or Fox news then, but news traveled faster than it does today. Luckily the fire had been confined to the kitchen and dining room so most of our belongings had been saved, except for my basketball. Major disaster, that was Santa’s new job, bring another basketball.Thankfully, I was wearing my cowboy boots, so they were safe. Many thanks to the Napoleon Fire department for a job well done. As I remember it Christmas was a special time when I was a child. It seems as though Christmas went on for weeks. Mom would start baking cookies and making candy as soon as Thanksgiving was over. About two weeks before the big day it would be dad and my job to find a real live tree! Living on a farm, we would start scouting out a likely candidate about the 4th of July. The major obstacle would always be the fact that some trees would turn brown as soon as cold weather hit, with ax in hand and battling the cold and snow , the idea tree would always be the brownest tree on the farm. Then it was off trudging through the cold and snow in search of another tree. What started out as a fifteen-minute job would always wind up taking half of a day or more. Cold, wet, and half frozen, we would finally return triumphantly with a perfect tree . The next task would be to find something to place the tree in, this was in the days before tree stands, so a bucket filled with rocks or coal would have to do. It was always a major task, enough to try the patience of Job, to get the tree situated “just right” in the bucket without having the bucket, tree and coal fall all over the floor. It wasn’t uncommon to lose one’s religion several times during the ordeal. After the tree was decorated, there was nothing much to do except wait for the arrival of Santa. celebration would begin. I automatically knew that if my most cherished present didn’t arrive, I still had three more chances. Now the tension was building! Christmas Eve had arrived, first thing on the agenda was church, and Santa would normally come while we were at services. When we were ready to leave for church, I never could understand why dad and I would have to wait in a cold car for mom to come out, we never did that any other time. As soon as church was over, it was time for Santa, normally one of my sets of grandparents would come over Christmas Eve and enjoy the evening, and unwrap gifts that Santa had brought while we were gone. Christmas Day, all the grandparents would arrive just before dinner, and the rest of the day was spent eating, unwrapping gifts and playing with them. My grandpa Wonning was retired so he would start wrapping gifts about Labor Day. When the gifts they brought were put under the tree, it seemed they would fill a pickup truck. had received more gifts than we had. it finally ended one year as my brother nailed his gifts in a wooden box with spike nails! We decided no one could top that one, grandpa was getting older and could no longer spend the time wrapping, so a time honored tradition ended. others company and grandmothers good cooking. year and can’t hit an easy free throw? on every advantage we could find. Many games were won at the foul line. Today this would probably be child abuse and damaging to one’s self esteem. Chuck missed both of them and we lost. How humiliating! missing those two foul shots! Today, the only thing that seems important is hitting the three point low percentage shot. goal slowly and taking the higher percentage more conservative “shot”. I didn’t write this, but I wish I had! necessities. But for who were genuinely in need, his heart was as big as all outdoors. fifteen old and feeling like the world had caved in on me because there just hadn’t been enough money to buy me the rifle that I’d wanted so badly that year for Christmas. We did the chores early that night for some reason. I just figured Pa wanted a little extra time so we could read the Bible. old Bible. I was still feeling sorry for myself and, to be honest, I wasn’t in much of a mood to read Scriptures. But Pa didn’t get the Bible; instead he bundled up again and went outside. I couldn’t figure it out because we had already done all the chores. I didn’t worry about it long though; I was too busy wallowing in self-pity. Outside, I became even more dismayed. There in front of the house was the work team, already hitched to the big sled. Whatever it was we were going to do wasn’t going to be a short or quick or little job, I could tell. We never hitched up this sled unless we were going to haul a big load. Pa was already up on the seat, reins in hand. I reluctantly climbed up beside him. sideboards! It had been a bigger job than I wanted to do with just the low sideboards on, but whatever it was we were going to do would be a lot bigger with the high sideboards on. spent all summer hauling down from the mountain and all fall sawing into blocks and splitting. What was he doing? Finally I said something. around in the woodpile trying to find a few chips. They’re out of wood, Matt.” That was all he said. them in the sled and wait. hand. “What’s in the little sack?” I asked. “Shoes. They’re out of shoes. Little Jakey just had gunnysacks wrapped around his feet when he was out in the woodpile this morning. I got the children a little candy too. It just wouldn’t be Christmas without a little candy. it shouldn’t have been our concern. fire that hardly gave off any heat at all. much gratitude in her heart that she couldn’t speak. as I thought on it. hug. They clung to him and didn’t want us to go. turned to Widow Jensen and said, “The Mrs.
night; he had given me the best Christmas of my life. humanity”. You can contact AJ with your experiences by email at aj@IndigoWorld.com or by registering at the forum at IndigoWorld.com. that is you reading another’s aura! but nonetheless the ‘New Age’ had begun! and those with an Indigo aura illustrate something very special. first generations which are fully connected to ‘source’ or the divine. an overall fascination with the paranormal. Sound familiar to anyone? contained in the artwork by Akiane, herself still in her early teens. open and honest contact with our intergalactic neighbours. human-ET contact within this generation or the next. 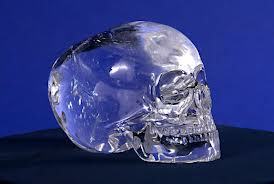 Because of the current Indiana Jones movies there has been much interest in crystal skulls. My first encounter with a crystal skull was in July of 1989. At the time I was a member of a metaphysical study group and had just returned from a month of studying the Aboriginal way of life in Australia. been found in Lubantaan in Belize in the 1920s by Helen Mitchell-Hedges who was then 16 years old. learn something new, who knows where this might lead? in Atlantis or left by Aliens. the future, while others experienced alien encounters and past lives. It was truly a masterpiece, unlike anything I had ever seen before. Lynn Gardner announced that she would be leading an expedition to Belize the following January to find the temple where the crystal skull had been found. that it would be a lot warmer n Belize in January than Indiana! Now available in EBook format.